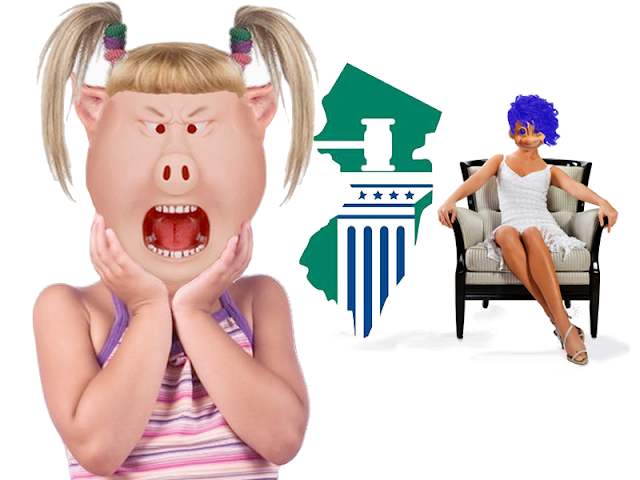 Well, things are getting interesting in New Jersey but not quite in the way predicted by the psychic troll, Brandon King. Brandon is Vinnie's paid henchman and he predicted I'd be going to jail which was wishful thinking more than a possibility. 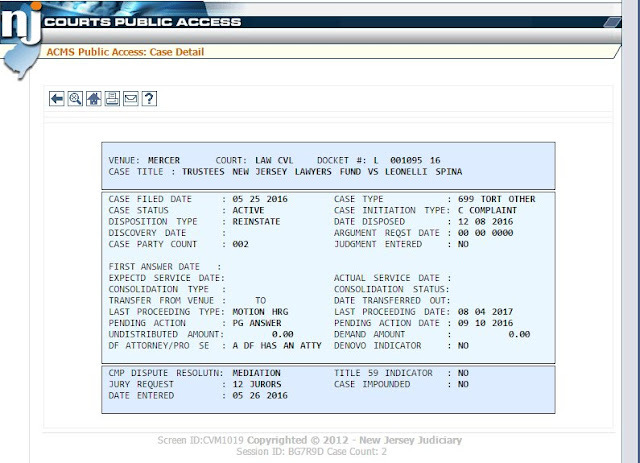 The charges Vinnie filed against me were bumped down to the Municipal court. And Vinnie changed her plea to something like "cyber harassment via communication with the intent to annoy the delicate sensibilities of disbarred lawyers" or something like that. I prefer to call it "telling the truth" because it's shorter, easier to spell and well, the truth. So basically everything started all over, my lawyer pleaded Not Guilty again and we're waiting on another batch of discovery from Vinnie and her prosecutor. The discovery was actually requested on July 19th but for some reason it's taking a long time to gather my cyber harassment. Or find it. My next court date is a status hearing on September 20th. 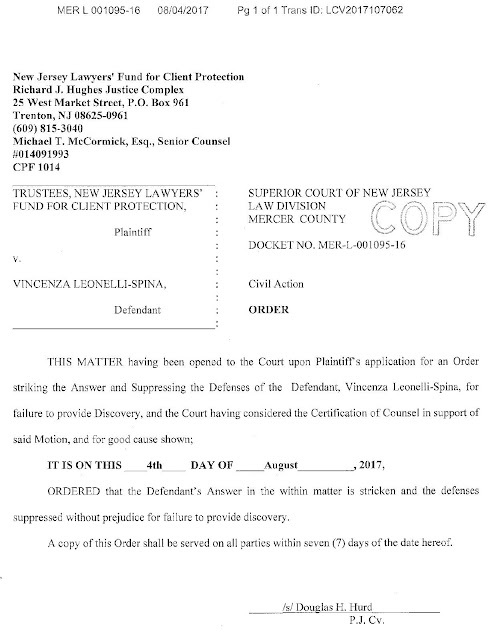 Meanwhile Vinnie's next hearing date is September 17th. The judge ruled in favor of the New Jersey Lawyer's Fund and have strike any answers and defense Vinnie might make because she didn't cooperate on the discovery process by answering questions and providing documents. Discovery seems to be a problem for Vinnie lately. Anyway, at her next hearing Vinnie has the choice of pleading guilty or going to trial. I can't imagine Vinnie admitting guilt to anything plus she'd have to cough up the $339,000 she owes and whatever monetary sanctions come with it. So I'm expecting Vinnie will plead not guilty on the grounds that she's Vincenza Leonelli-Spina and a close personal friend of Siggy Flicker. Who is the blue troll that appears in all the photos? You? Or you just him/her in for fun?